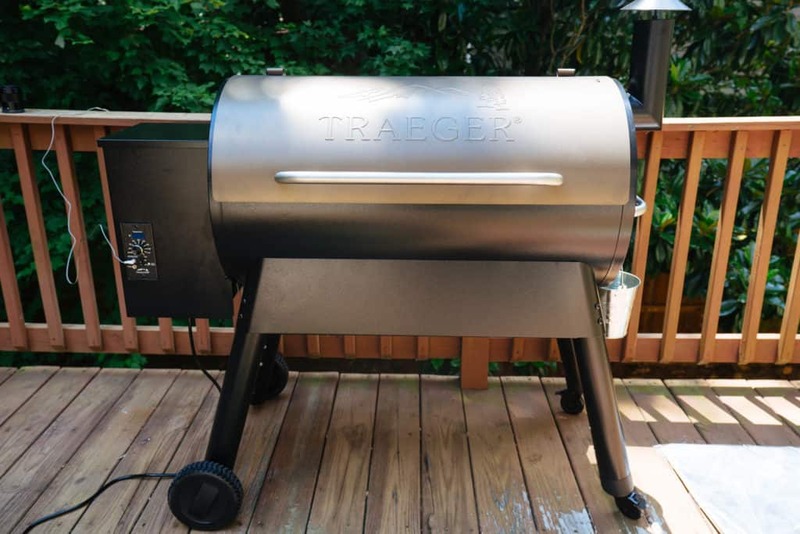 We were fortunate enough to be sent a grill from Traeger Grills so we had to do a grill recipe! 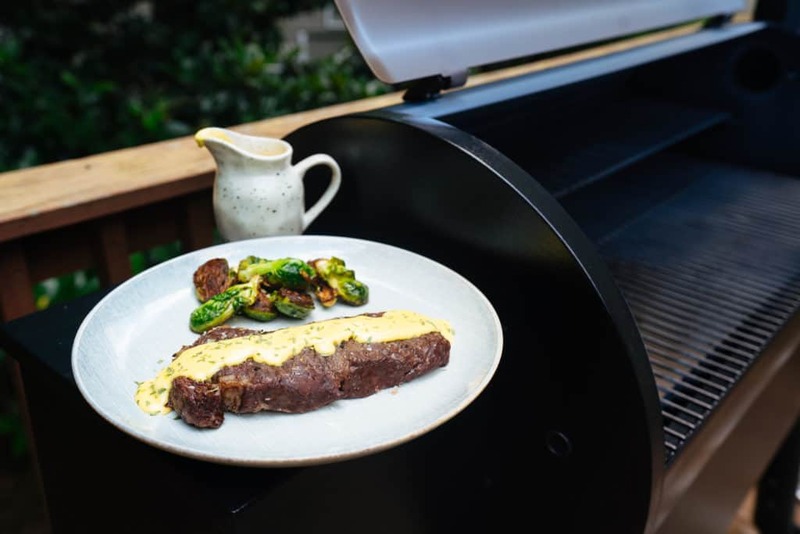 Meats can be easy so we thought making a Bernaise Recipe to pair alongside your grilled meat and veggies would be a great way to get the grilling recipes rolling! I've never been a fan of bernaise sauce until I realized how easy it is to make and how amazing the macros are! Pellet Grill Means Easy Grill Recipes. The grill itself is a monster! You could cook enough meat and veggies on this bad boy to feed a family of 10, plus leftovers. Our favorite part about is the use of pellets for even, stable heating. We plan on using this grill every night, even in the winters! Let's talking about what tops grilled meats for just a moment. First thing that comes to my mind is BBQ sauce, but high fat doesn't correlate. Sure, you can use our low carb BBQ sauce recipe to satisfy your cravings, but when I'm eating a ton of grilled meat I want something fatty and delicious to pair! That is where a sauce like this ones comes in handy and is super quick to whip up while the meat is cooking! Easy Bernaise Recipe For Grilled Meats! This recipe doesn't have to only pair with meats you cook on the grill. It could also work great for a breakfast scramble, sandwich or casserole. You can make it in bulk (which we highly recommend) and store in the fridge up to 1 week to serve with weekly dinners. 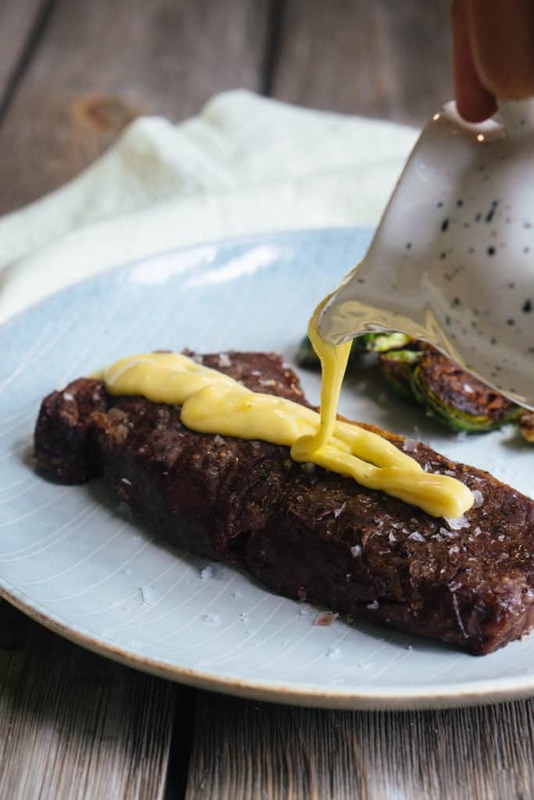 This bernaise recipe will help you get your fats in in a healthy and delicious way! 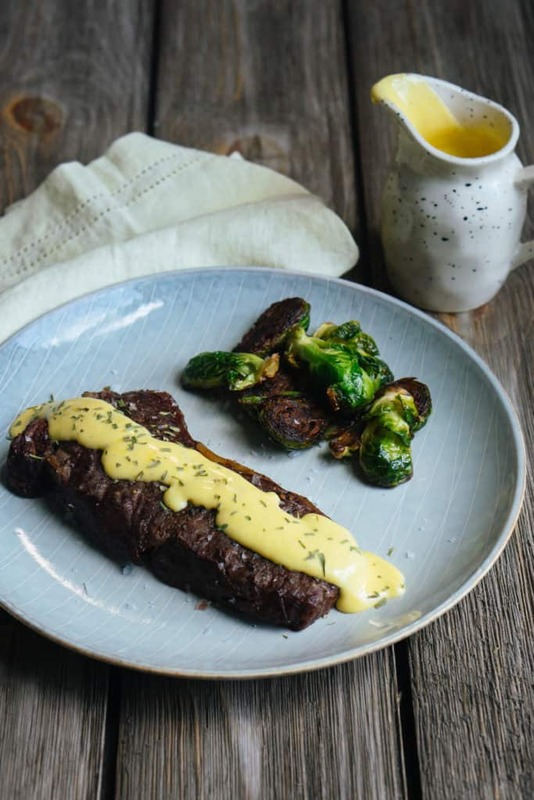 Recipe can be quickly added to MyFitnessPal - Search "KetoConnect - Bernaise Recipe"
Add the vinegar, wine and tarragon to a small sauce pan and bring to a simmer over medium-high heat. Allow to reduce until you are left with about 2 tbsp of liquid. It should take around 15 minutes. Pour the reduced vinegar into a glass measuring cup (tight enough to just fit an immersion blender head). Add the salt and egg yolks. Set aside. Add the butter to a small saucepan and melt over medium heat. Once fully melted, swirl around to let any foam subside. Place the immersion blender into the bottom of the measuring cup and blend. 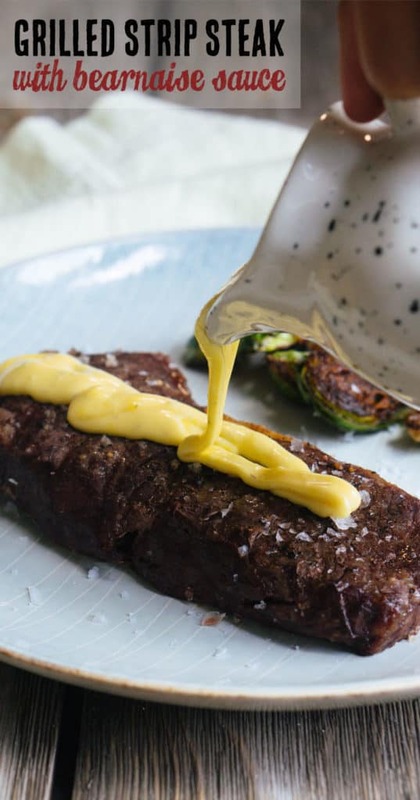 As you continue to blend slowly pour in the butter until you have achieved a thick, creamy sauce. This should be a fairly quick process (less than a minute). Serve immediately with meat and veggies. Preheat the grill for 10 minutes on high heat. Salt and pepper both sides of the steak and allow to sit for 3 minutes. 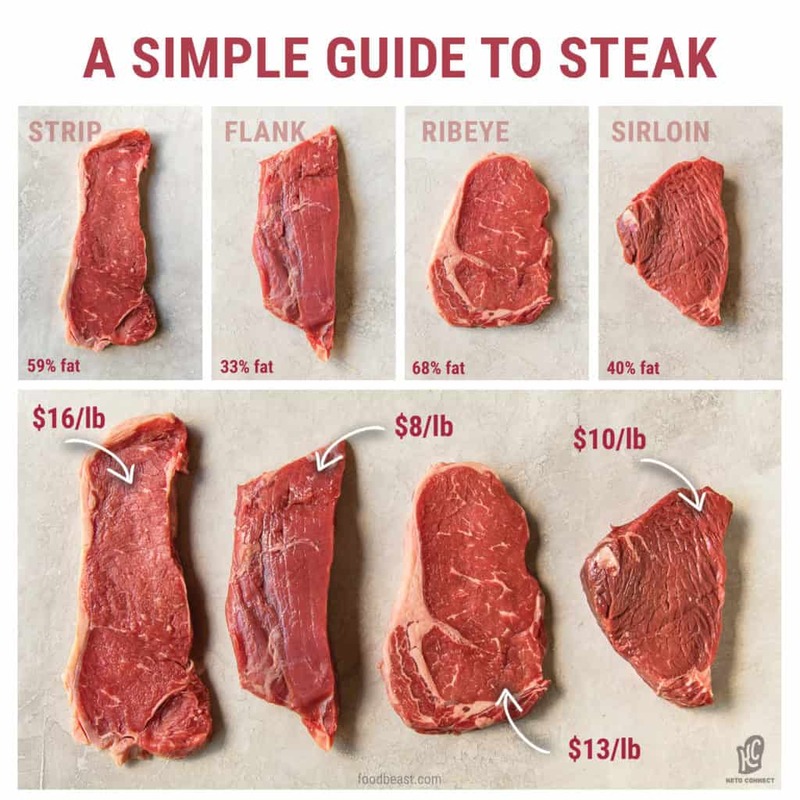 Once the grill is preheated, place the steak on the grill and close the grill. Cook for 3-5 minutes on each side, depending on your preferred doneness. Toss the veggies in salt, pepper and olive oil and place in a small 6 inch skillet. Place skillet directly onto the grill and cook until preferred doneness. Serve the steak and veggies with the burnoose sauce and enjoy! **Nutrition is only for the burnaise sauce. Steak and veggies not included.